I found a piece of pale gray textured paper in my stash (no memory of getting it!) and decided to pair it with dark green and white. 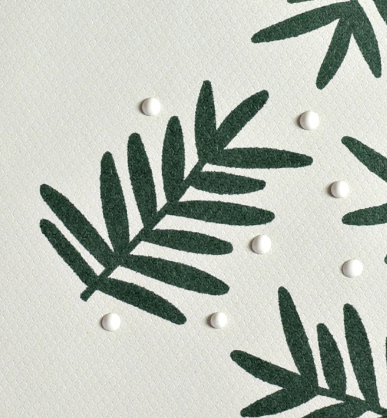 The Altenew Evergreen ink came out almost black when stamped on gray, but I love the look with the white Nuvo accents. The leaf image and the sentiment are from The Stamp Market's Succulent stamp set. MOOD WHEN DONE: Happy! I sent out a bunch of cards last Monday and over the course of the week I heard from the recipients. Such good feelings all around. The palette is fantastic, and I like the combination of all the elements of texture! So simple, yet nuanced and sharply graphic. Delicious came to mind when I saw your creation. As you said, Happy all around. Beautiful and works for a guy card where I have lots of trouble. I don't know how you come up with these designs, but they always look fantastic! Hmmm... I have a leaf die almost identical. Thinking... thinking... I wish everyone would mail their cards. 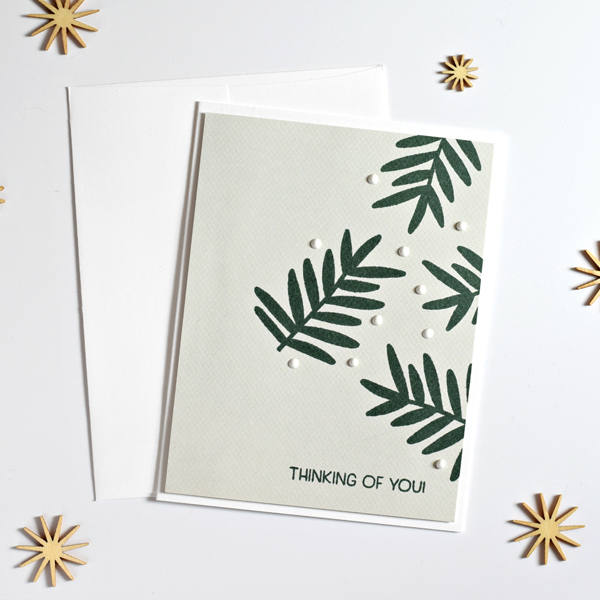 Just because or thinking of you is reason enough to mail a card. Good on you, Joan.